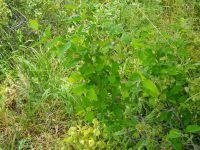 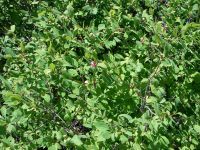 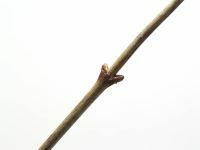 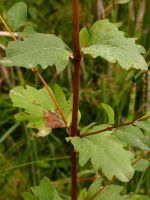 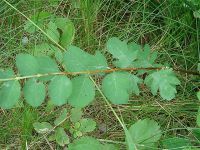 Deciduous, erect, branching shrubs from rhizomes, the stems usually 1-2 m. tall, glabrous. 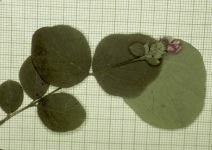 Leaves opposite, elliptic or elliptic-ovate, entire or with a few, coarse, irregular teeth, 1.5-5 cm. 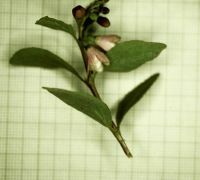 long and 1-3.5 cm. 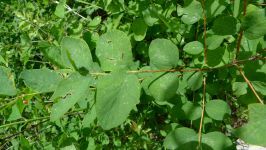 wide; leaves on young, sterile shoots generally larger, glabrous and more irregular. 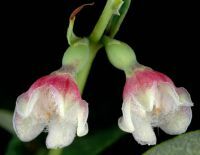 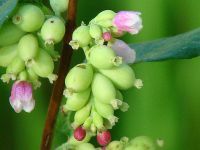 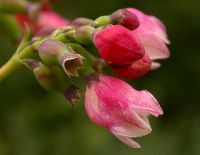 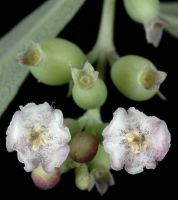 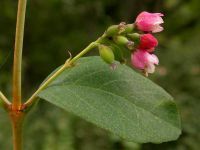 Flowers in short, dense, sub-sessile, few-flowered racemes, terminal on the twigs and in the upper axils; corolla white to pink, entire, 5-7 mm. 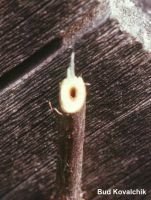 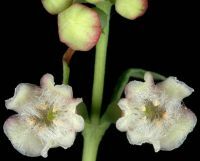 long and nearly as wide, densely hairy within, the 5 lobes as long to nearly as long as the tube; stamens 5; style 2-3 mm. 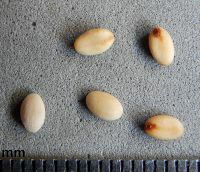 long, glabrous; ovary 4-celled, inferior. 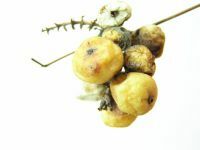 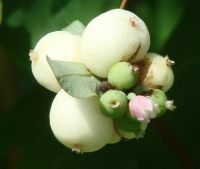 Fruit berry-like, fleshy, with two seeds, ellipsoid, 1-1.5 cm. 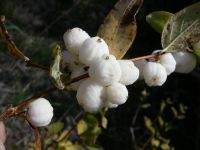 long, white. 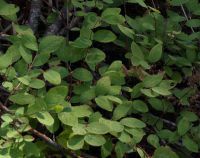 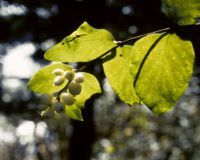 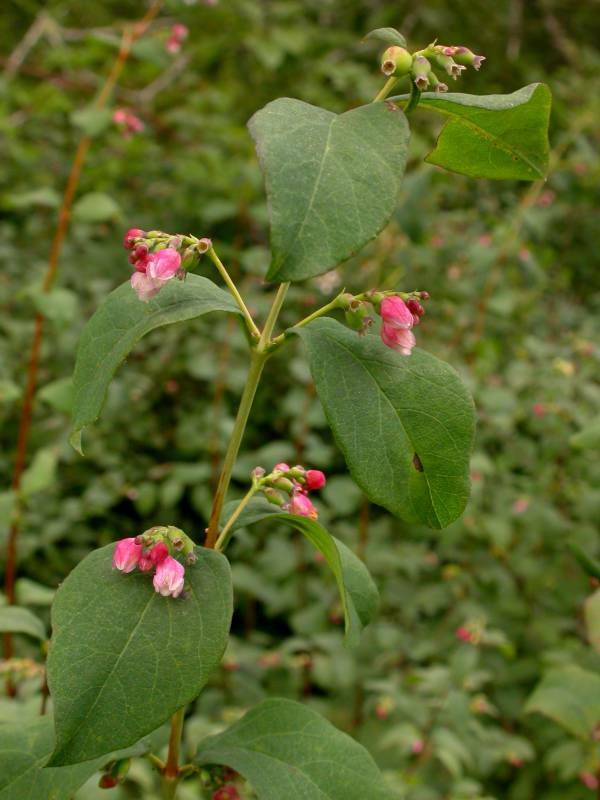 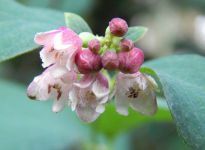 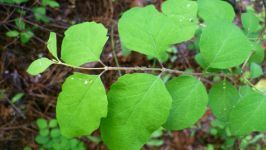 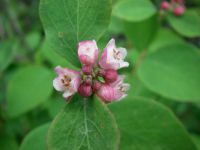 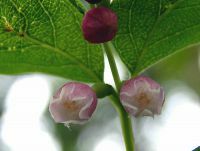 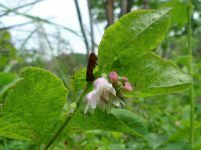 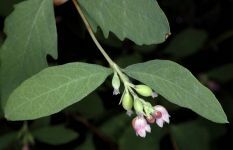 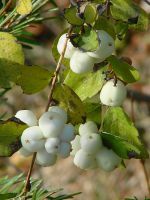 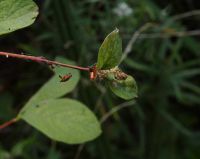 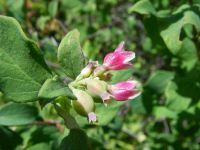 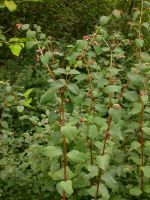 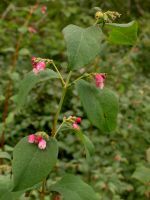 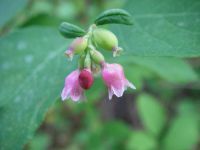 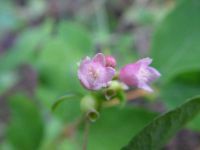 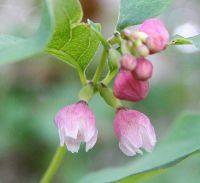 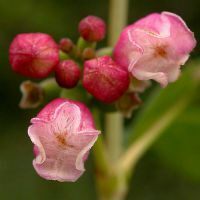 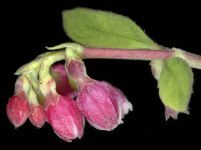 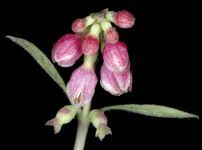 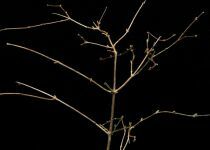 PNW Herbaria: Specimen records of Symphoricarpos albus in the Consortium of Pacific Northwest Herbaria database. 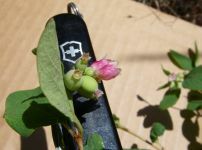 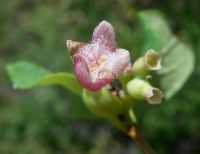 WA Flora Checklist: Symphoricarpos albus checklist entry. 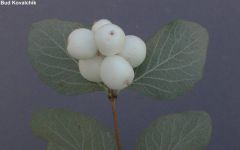 E-Flora BC: Symphoricarpos albus atlas page. 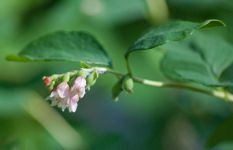 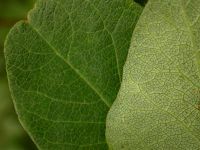 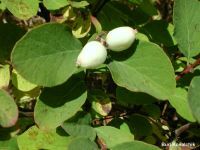 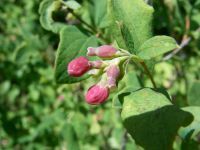 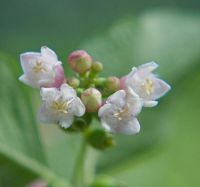 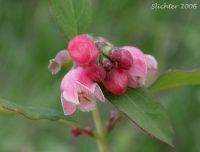 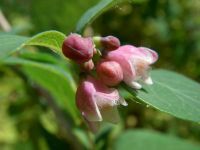 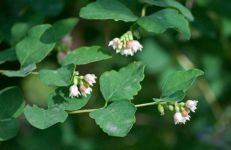 USDA Plants: Symphoricarpos albus information.